We help you turn your blog into a business, building the brand you want on your terms. Get Access to the Library! Sign Up for Free Tips! 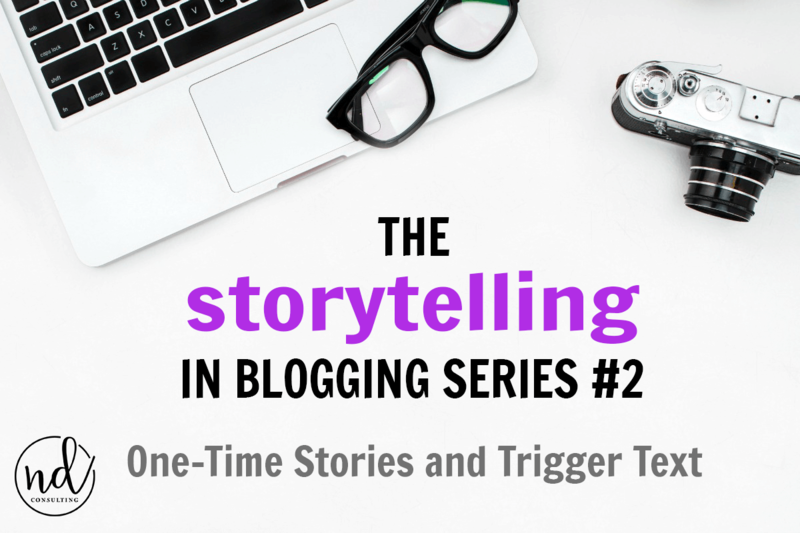 The storytelling in blogging series continues with the one-time stories you need to tell and the trigger anchor text to use in order to turn visitors into fans. 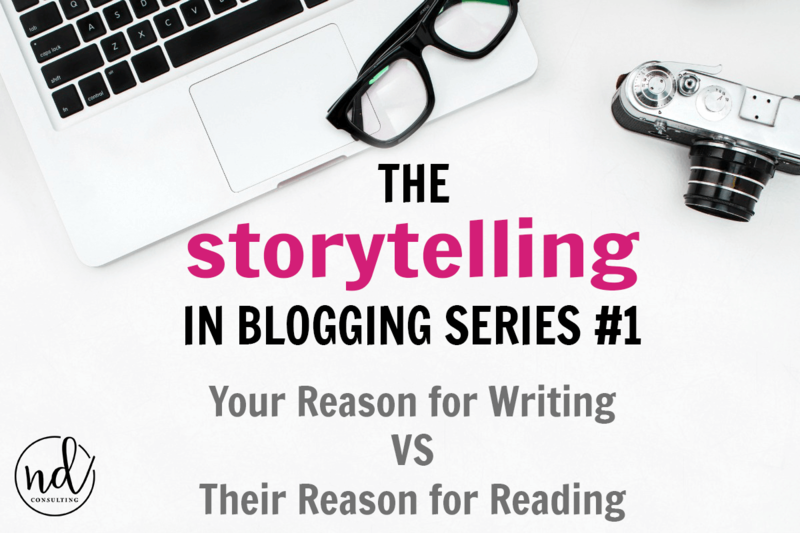 As I laid out in the first of this series, Why Storytelling in Blogging Matters, you know that stories sell. They sell products, services, the words you type, and they help you sell yourself. But what stories will help a reader invest in you? What stories do you need to tell in order to turn readers into fans? And what engaging, curious, or emotional trigger anchor text can you use to get them to find out more? There are affiliate links in this article which means at no additional cost to you, we could receive compensation for our recommendations. You can read our full disclosure policy. Why do you blog? What is your origin story? Why do you spend 4 hours on an article that’s read in 4 minutes or 3 hours prepping, testing, photographing, and writing up a meal which will be made in just 20 minutes? In Simon Sinek’s book, Start with Why, he posits that finding the answer to this question is the reason people want to hear from you. Why do you blog?! Why do you blog about your topic, specifically? ACTION: Take a few minutes and write 3 reasons you choose to do what you do. Next, list 3 ways in which you help readers. Finally, craft 4-7 sentences which detail why you blog. If you want to work ahead, brainstorm a few trigger anchor text phrases which would really pique a reader’s curiosity about your story. What would make them click through? If you truly want to help people, it shows in your writing. You write from a “we” position, not from a “me” place. They need your story, your help, your support. Telling them why you do what you do will help them decide whether to invest in you. But that’s not the only story they need to hear. If we are honest with ourselves, we try to be all things to all people. But we can’t be all thing to everyone and sometimes, it’s admitting that which helps us gain clarity. When you started your blog, what consumed your thoughts? Was it how you were going to help people or what problems you could solve for them? 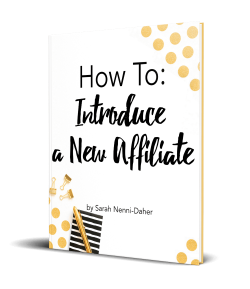 I don’t normally work with brand new bloggers because I believe the value of a blog is in the content. If one doesn’t have content, does one really have a platform, let alone one they can turn into a business?! I know what I am NOT to people and in telling them that, I give them a plan. I also deliver the message that I’m not in this just to amass as many clients as I can or that I’ll work with anyone who has a pulse. I tell them my “nope, not me” story and solidify my place with them. ACTION: It’s your turn to identify what you’re not. 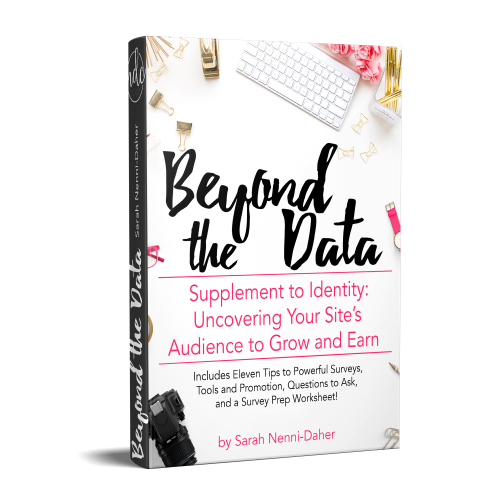 Spend a couple of minutes narrowing your focus by detailing what you’re not so that you can attract your ideal reader. Your goal is to get 2-3 sentences detailing your “nope, not me” story. Where Do These Stories Go? An about page may be your first thought to where to put your one-time stories and you’re right! Make sure both of these stories end up on that page. But don’t stop there! The About Me page shouldn’t be the only place your readers see your stories. In nearly every post, you can position yourself to engage the reader with these two stories. You can (and should) use powerful anchor text to link to your about page. Pro Tip: People often ask me what to do when a post goes viral but their bounce is off the charts high (meaning, the reader only reads that post and nothing else). I tell them, among other things, that they need to add powerful anchor text to their viral. As a reminder, anchor text is the text which is underlined and, when clicked, opens the linked article or page. 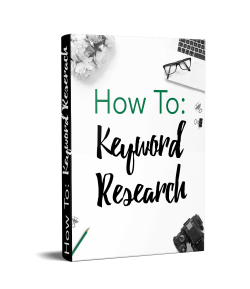 Our goal is to make anchor text relevant to the destination’s topic (SEO-friendly) while piquing a reader’s interest enough to get them to click through. Read more about anchor text best practices. Before we move on, I want to be clear – we will deviate from traditional anchor text usage for SEO. Your goal isn’t to rank your about page. The purpose with engaging anchor text is to get a first-time reader to click TO your about page. remind an existing reader of why you do what you do (and why you do it for them). knew death was knocking on her door. On this page, she states that she knows of so many others like her who are too embarrassed to seek help or cannot afford to hire a fitness trainer. that she is not a fitness guru, a nutritionist, or a medical professional. Remember: her trigger anchor text should be designed to lead people to read more about WHY she is writing for them, WHY she wants to help them, and WHY they should invest in her. Her job is to get the reader to click through. Each night, I would go to sleep knowing that being obese wasn’t setting a good example for my children. It’s hard to get out of bed at 6 am for a run, but it’s harder knowing that my weight is going to kill me. I would buy every diet pill or supplement and it would crush me each time when I realized it was no magic weight loss solution. People are inherently curious about other people, so we need to use that to our advantage. Your trigger phrase could be something about you and the reason you started your website or business but ultimately, your trigger anchor text should be rooted in curiosity, emotion, or problems. The day I decided that my logical brain was going to take a back seat to my creative brain. When I get stressed, I always remind myself of the time I had to pack up the house-the entire house in 32 hours and get to the airport or my marriage was lost forever. And when I left college I realized I could not boil noodles, make breakfast, or surprise anyone with a baked good I didn’t buy at the grocery store, I knew it was time for a change. … the day a camel ride changed my life. … that day I locked myself in the bathroom to get away from my entire family because my medication made me want to hurt them. Trigger phrases allow you to organically link to your about me page seamlessly. They are designed to get a new reader to learn more about YOU and your “why.” They also remind an existing reader why you write for them. It’s your turn. Add the sentences you’ve written detailing your “why” and “nope, not me” stories to your about page (and topic pages). Review your most popular articles and brainstorm a few ways you could use anchor text to engage the reader to click. Update the articles and incorporate at least one link back to these stories in every article you write. 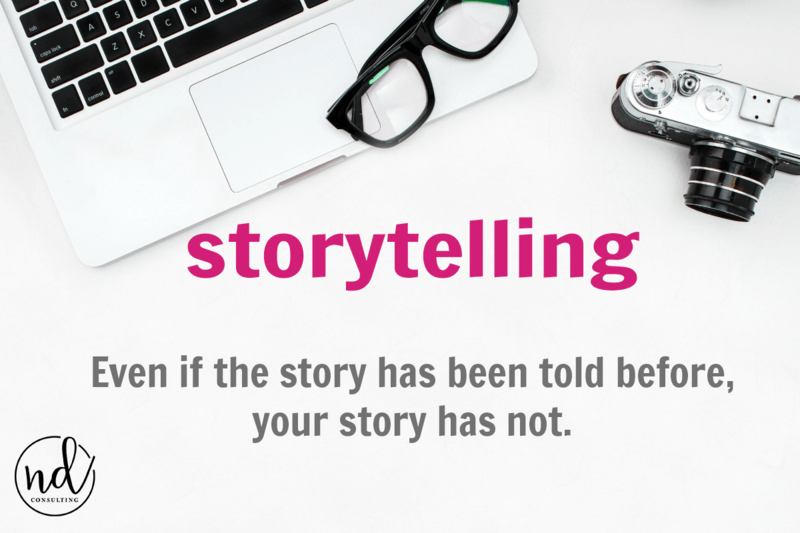 Still to come in the storytelling in blogging series, we’re going to tackle storytelling in posts by detailing structure, copywriting tips, and so much more. Be sure to sign up for the once-weekly NDC newsletter to stay informed. If you have questions about this series or want to brainstorm your origin story and trigger text, pop into the Elevate Everyone group on Facebook. Storytelling in blogging is the secret of a great blog and strong blog traffic. Most of us have forgotten what young children know: stories sell. The Storytelling in Blogging series is going to provide a framework for any blogger to strengthen their offering and use stories to grow. One of the strongest marketing forces in the history of the world is Disney. How much do your kids love the Disney movies? The Disney dress-up outfits? The Disney figurines and toys? The Disney vacations? Disney tells stories because they know stories sell. Disney also knows they don’t even have to tell original stories! This proves to content creators that even if the story has been told before, your story has not. Your kids become engaged in the story. They relate to the characters and can understand and learn from the struggle and the journey. And Disney literally takes it to the bank on the fact that stories sell. If you’re a blogger, you’re in sales. Don’t believe me? Consider what you’re trying to do every.single.day you write, promote, curate, and schedule. See? You’re in sales. And it sure is a crowded place. You’re in a noisy environment. There are more than two million blog posts published every DAY. That’s a lot of noise, friends. And consider that if your promotional efforts are primarily social media, you’re in a damn-noisy environment! We have so many choices, sources, opinions, and information to sort through on social. So does your potential reader. How do you get their attention? More importantly, how do you keep it? You grab their attention AND keep it by telling them stories. But not just any stories. Telling the right story goes far beyond a tale. 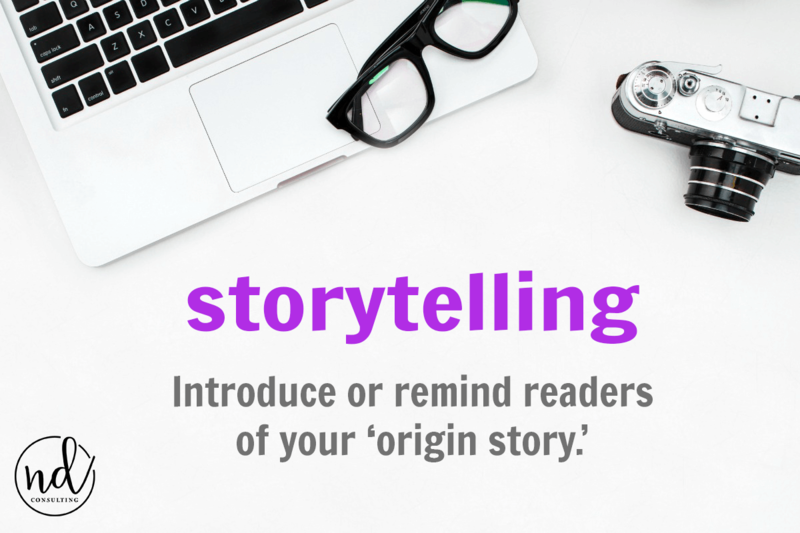 Telling a story to captivate includes incorporating the reason a reader is there in the first place. A good blog will tell a story but will never stop there. Consider this: You notice spots on your daughter’s back when giving her a bath before bed. At 1 am, you think, “Just one quick search” because sleep eludes – you just can’t stop thinking about those spots! So, you go in with a purpose: to name those spots on her back. But that’s not the only thing. You want to relieve your fear, uncertainty, and anxiety. And if you don’t get a definitive answer (you won’t because Dr. Google is always a bad idea), you will keep searching. Your reader is no different. They are there for a reason. focus on SEO to get the search visitor. 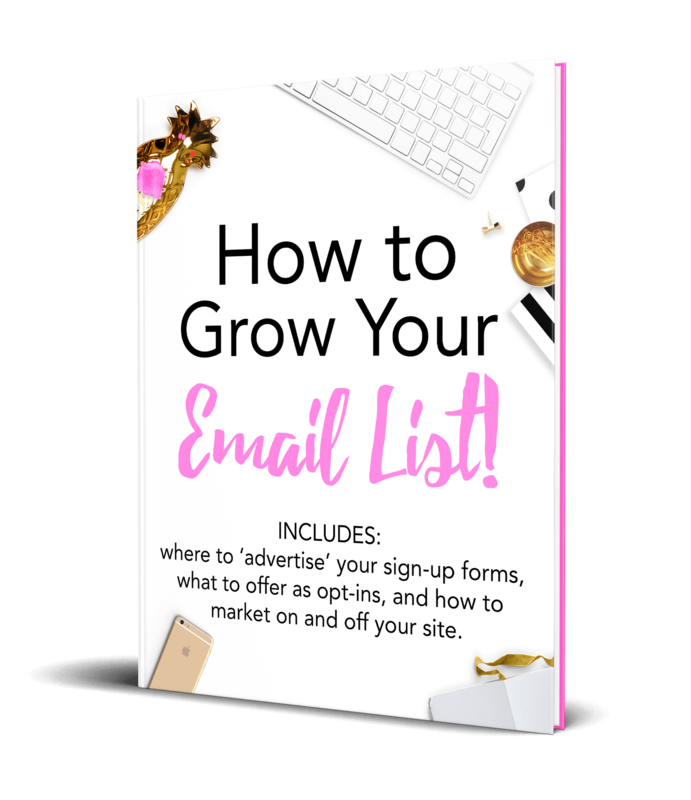 use targeted subject lines to get the click from social media. find new audiences who will soak up our content. But our goal is to turn a first-time visitor into a fan so they keep coming back. After all, our purpose is to grow traffic and influence. And they’ll get a laugh. But why would they stay around? Why would they follow your site or social profiles? Before writing, you must consider why they would be reading. Why did they click on the link in the first place? What did they want or need from the story? Considering your experience and their reason for reading, your story could transition into tips to make sure a little one is ready for potty training or give them a recipe for a really great DIY wall cleaner solution. It could share with them calm-down breathing techniques you’ve learned, because seriously – we’d all be losing our proverbial poo in that situation. Takeaway – When you tell a story, build a post only after considering the reason a reader would be reading it in the first place. Then, make sure you offer something of value instead of just telling a good story. As you can imagine, there is a great deal to this topic and this is just the tip of the iceberg. I’ve written an entire series about using storytelling in blogging with each section coming with an actionable task to help you improve your blog’s writing. In our example, you would want them to get the chuckle but you also want them to see you have them in mind when you’re writing. There is a reason they want to read a potty training article. Identify that reason and incorporate it into your writing. Your readers NEED to find value in your humor and your authority. But that’s not all your readers need. Next up in the series, we’re going to address the one-time stories you need to create in order to turn visitors into fans. Pin this to your content creation board on Pinterest and while you’re there, follow us. And be sure to sign up to the NDC once-weekly newsletter to get the next in the series. Well, look at that - you found the treasure! It's not about ideas. It's about making ideas happen. Gain Access to the Library! Let's turn your ideas turn into income! Your email is safe: it is never shared and always respected. Get access to ALL the guides, workbooks, and more in the Resource Library!